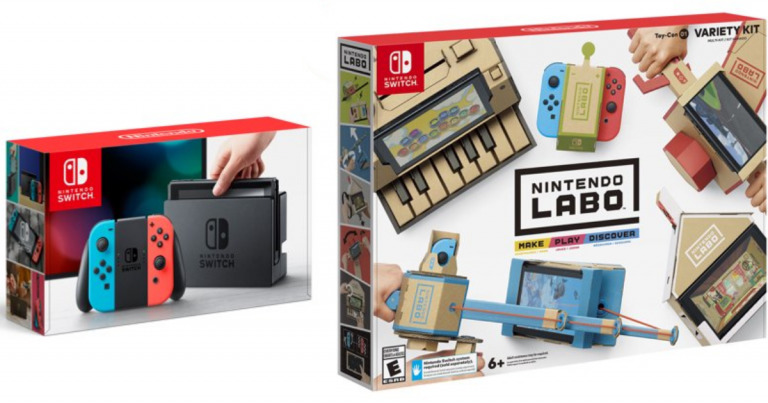 Walmart has the Nintendo Switch Console with Your Choice Nintendo Labo Kit on sale for $339.98 (a $29.01 savings.) This is the only savings bundle I have seen. Choose from the Nintendo Switch with blue and red joycons or grey. Next choose from the Nintendo Labo vehicle, variety or robot kit. Nintendo Labo is a series of DIY kits crafted to work with Nintendo Switch. Build Toy-Con creations from cardboard and bring them to life with your Nintendo Switch system. Check out the video.